Singapore hosts several museums, temples, mosques, and memorials that serve as major tourist attractions in the country. 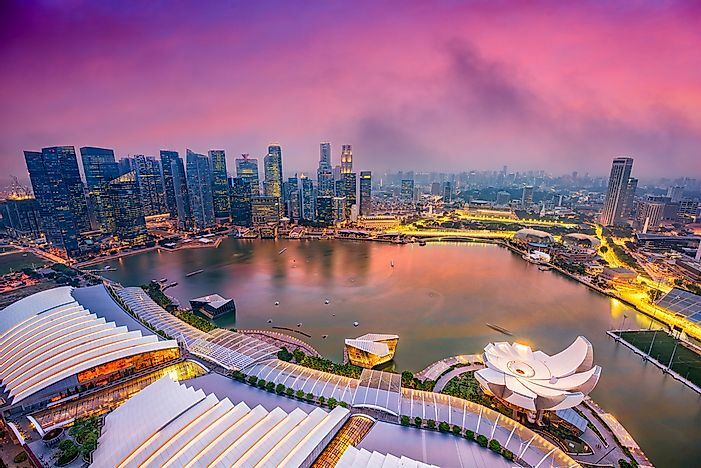 The skyline of Singapore's marina. The National Museum of Singapore is Singapore’s oldest museum and was started in 1849 as the Raffles Library and Museum. The museum displays exhibits related to the history of Singapore. The museum is located currently in the Museum Planning Area at Stamford Road. The National Museum of Singapore’s most significant exhibits include the eleven precious artifacts like the will of Munshi Abdullah, the Gold Ornaments of the Sacred Hill, William Farquhar's drawings of flora and fauna, etc. The museum is designed in the Renaissance and Neo-Palladian style. The Sri Mariamman Temple, located at 244 South Bridge Road, is the oldest Hindu temple in Singapore. The temple is a major tourist attraction in the region and has been gazetted as one of the national monuments in the country. The temple was founded by Naraina Pillai in 1827 who was well recognized as a leader of the Indian community in Singapore during the time. The Victoria Theatre and Concert Hall is an aesthetically designed performing arts center in Singapore’s Central Area. Two buildings and a clock tower connected by a common corridor are the main parts of the complex. The oldest building in the complex was built in 1862 and the entire complex was completed in 1909. Exhibitions, public events, political meetings, music and stage performances, etc., are all hosted at the venue. On February 14, 1992, the Victoria Theatre and Concert Hall was gazetted as a national monument of the country. The Mint Museum of Toys is a museum exhibiting a private collection of vintage toys. The museum was opened on March 5, 2007, and is located in the Arts & Heritage District of Singapore. Over 3,000 toys and childhood memorabilia from the mid-19th to mid-20th century are exhibited at the museum. The Mini Museum of Toys has been designed as a five-storey contemporary building by the architect Chan Soo Khian. The Istana Kampong Glam is a Malay Palace located in Kampong Glam near Masjid Sultan. The original palace was built in 1819 by Sultan Hussein Shah of Johor. He built the palace on a 23 hectares land granted to him by the British East India Company. The palace was later rebuilt several times and in 1824, its size was reduced for the North Bridge Road construction. The palace served as the royal residence for a significant period of time. The Sultan occupied the palace up until his death in Malacca in 1835. On August 6, 2015, the Istana Kampong Gelam was gazetted as a national monument of Singapore. The Peranakan Museum is housed in the Old Tao Nan School of Armenian Street which served as the former base of the Asian Civilisations Museum. It was opened on April 25, 2008. The museum features exhibits representing Singapore’s Peranakan cultures and other Straits Settlements in Penang and Malacca. The museum also hosts shops and eateries themed on the Peranakan style. The Peranakan Museum hosts 10 permanent galleries with exhibits showcasing the various aspects of Peranakan life. The Civilian War Memorial or the Memorial to the Civilian Victims of the Japanese Occupation is one of Singapore’s heritage landmarks. The landmark is located within the War Memorial Park at Beach Road in the central business district of Singapore. The memorial is dedicated to the civilian victims who were killed during the Japanese occupation of Singapore. 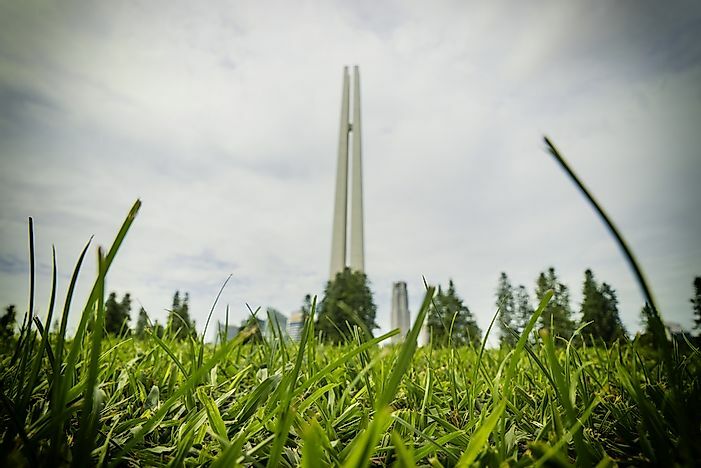 The memorial was built by one of the country’s most famous architects, Leong Swee Lim between 1935 and 2002. The contemporary art museum is located in Singapore’s art and culture district with other major performing and visual arts institutions of the country. The Singapore Art Museum is based in a restored mission school of the 19th century. Opened in 1996, it was the country’s first art museum. The museum features a significant collection of Southeast Asian contemporary art and has a growing international contemporary art component. Talks, workshops, artist and special curator tours are arranged here to give visitors a unique glimpse and rich experience of the museum. Located in 9 Woodlands Road, Kranji, the Kranji War Memorial is dedicated to the memory of the brave men and women who died defending Singapore from Japanese forces during World War II. The memorial features the Memorial Walls, Military Graves, War Graves, and the State Cemetery. The Kranji War Memorial also offers panoramic views of the surrounding undeveloped landscape and the skyline of Malaysia’s Johor Bahru. The Asian Civilisations Museum is one of the pioneering museums in Singapore which feature pan-Asian culture and civilizations. The museum was opened on April 22, 1997, at the Old Tao Nan School building at Armenian Street. Currently, it is based at the Empress Place Building of the city-state. The museum has a rich collection of Chinese artifacts like Taoist and Buddhistic statuary, Dehua porcelain figures, calligraphy, etc. The South Asian Galleries feature artifacts representing the history, art, and culture of the South Asian countries. Works of the Mathura and Gandhara schools of art, fine Chola bronzes, South Indian woodwork, colonial prints, etc., are part of the exhibits at these galleries. Southeast Asian galleries at the museum feature Khmer sculptures, Buddhist art forms, Javanese sculptures, and more. 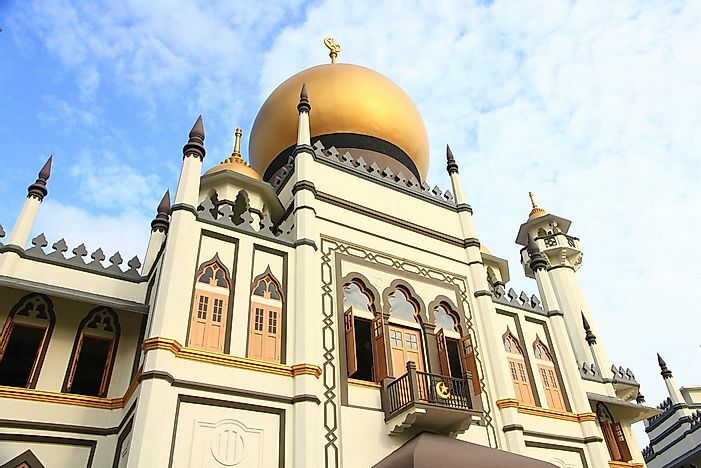 Masjid Sultan is regarded as one of the most important mosques in Singapore. It is located at Muscat Street in the Kampong Glam precinct of Singapore. The mosque was built between 1824 and 1826 by Sultan Hussain Shah of Johore next to his palace using funds solicited from the East India Company. The impressive prayer hall and domes of the Masjid Sultan are the star features of the structure. On March 8, 1975, it was gazetted as a national monument. The "Palace of Heavenly Happiness” or the Thian Hock Keng is a famous temple in Singapore dedicated to a Chinese Sea goddess Mazu. It is the Hokkien people’s oldest and most significant temple. On July 6, 1973, the Thian Hock Keng was gazetted as a national monument. The temple was built sometime around 1821 to 1822 and was visited by seafarers and immigrants who would thank Mazu for their arrival to Singapore after a safe sea passage. Over the years, the temple was expanded and beautified to what it is today. The temple was built using traditional Chinese design whereby, a central courtyard is surrounded by several pavilions and buildings. Dragons and other motifs have been used to decorate the roofs of the temple’s halls. Stone lions and Door Gods guard the doors of the Thian Hock Keng. Colored tiles, embellished and gilded beams, figures of phoenix, dragons, etc., are used to enhance the beauty of the temple.